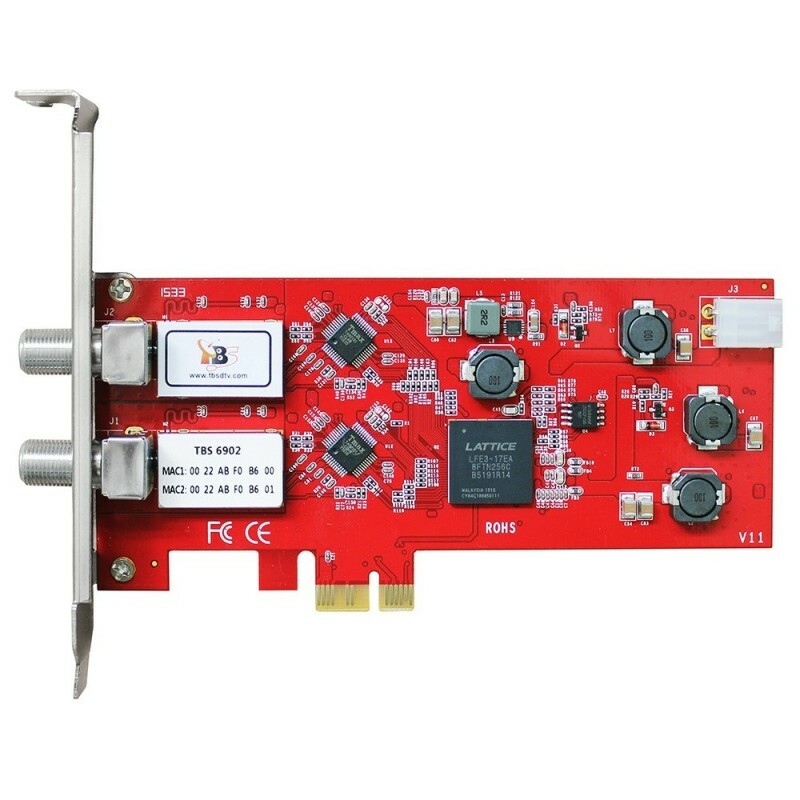 The TBS6902 PCI-E DVB-S2 Dual Tuner TV card is a PCI Express interface digital satellite TV Tuner card for watching and recording Free to Air satellite TV on desktop PC. With two tuners, the TBS6902 enables you to watch TV channel from one transponder/satellite while recording another channel from another transponder/ satellite at the same time. This dual tuner card is one of the most popular TV tuners for building IPTV streaming systems. The TBS team have developed both Windows BDA driver and Linux driver up to the latest kernel for this quad tuner card Tested on. It’s compatible with Windows 7 Media Center and popular software like MediaPortal, DVBlink, DVBDream, DVBViewer, ProgDVB, Skynet, TSreader, XBMC, MythTV. You can use it to watch any free to air satellite TV programs in your region including Freesat HD if you are located in the UK. By using appropriate software, e.g. MediaPortal and its plugins, you can stream satellite TV contents to your iPhone, iPad or iPod. Click the button below to add the TBS6902 DVB-S2 Dual Tuner HD Satellite PCI Express Card to your wish list.